Stone Cold had the most liked content! Player id of the guy: steam_0:1:29652732 I was trading some stuff in the trade server peacefully until I asked for a price check on a "Sharp Dresser". This user "b00m" sends me a trade request and tries to sell me the product and I just say that I want to know the price of the knife. After this, he says 2 ref, in which I just say "I'm sorry, but I will keep my 2 refs with me, don't worry ", stating that I wasn't going to buy, I was just asking. Followed that, the user proceeds to bash me the entire time stating many offensive words, just because I didn't buy the knife. I have some shots of it: [url="http://i125.photobucket.com/albums/p56/xturboRX8/2011-12-18_00007.jpg"]http://i125.photobuc...12-18_00007.jpg[/url] [url="http://i125.photobucket.com/albums/p56/xturboRX8/2011-12-18_00006.jpg"]http://i125.photobuc...12-18_00006.jpg[/url] [url="http://i125.photobucket.com/albums/p56/xturboRX8/2011-12-18_00005.jpg"]http://i125.photobuc...12-18_00005.jpg[/url] [url="http://i125.photobucket.com/albums/p56/xturboRX8/2011-12-18_00003.jpg"]http://i125.photobuc...12-18_00003.jpg[/url] [url="http://i125.photobucket.com/albums/p56/xturboRX8/2011-12-18_00002.jpg"]http://i125.photobuc...12-18_00002.jpg[/url] [url="http://i125.photobucket.com/albums/p56/xturboRX8/2011-12-18_00001.jpg"]http://i125.photobuc...12-18_00001.jpg[/url] I hope more admins can be around in the server, since this guy acted very aggresively when I just asked for a price. Thanks. I've been playing in the =ADK= TF2 trade server for a while, pretty fun actually, got plenty of items from the server, hope I can meet the people behind the show Let's all have a beer! 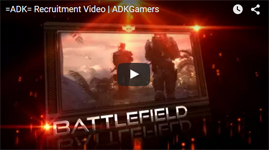 Welcome to the =ADK= Website Stone Cold = D Thanks for joining, feel free to browse around. Post some new topics, reply to some current ones. We look forward to chatting with you!